An assistant professor of finance at the School of Business Administration at Babson College in Wellesley, Massachusetts. 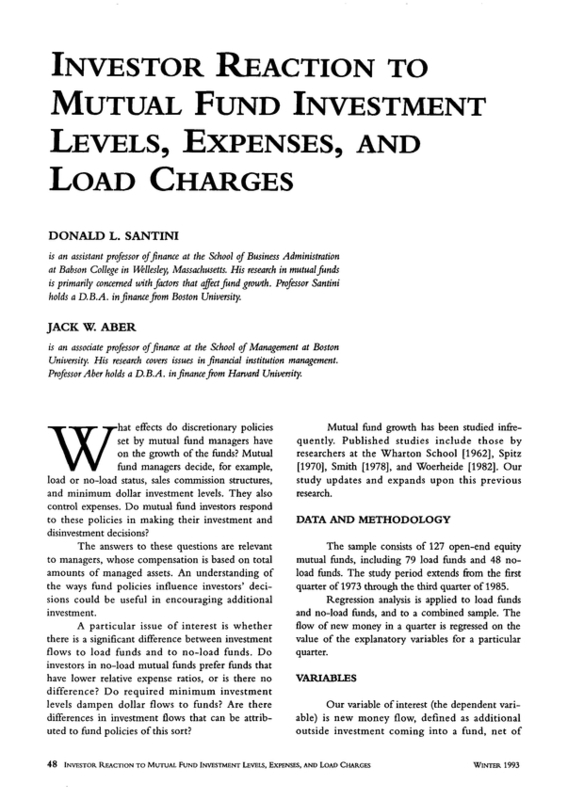 His research in mutual funds is primarily concerned with factors that affect fund growth. Professor Santini holds a D.B.A. infinance from Boston University. An associate professor of finance at the School of Management at Boston University. His research covers issues in financial institution management. Professor Aber holds a D.B.A. in finance from Hatvard Univenity.